In the midst of the 1980 economic collapse in Alberta, I lost my job and asked myself, "What do I do now for the rest of my life?" My choice to attend Bible college, took me not only into the classroom but across the world to the mission fields of Thailand. It was there I discovered that God is not only King, but truly is the King of kings. Follow my devotional stories and insights, in The King of Kings and I, as I journeyed through the cultures and sub-cultures of North America and Thailand. I was thrilled to have this manuscript shortlisted at the 2018 Women's Journey of Faith Contest. Continuing on in the 'journey of faith', I am excited now be in the midst of getting the book cover finalized and the chapters formatted - all to be ready in early 2019. 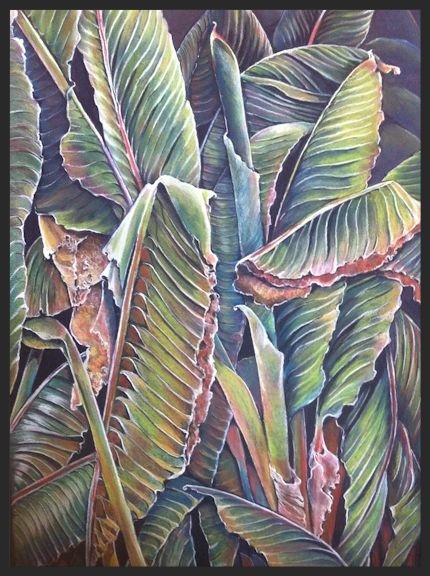 These detailed banana leaves, painted by my sister Marquita, will be featured on the front cover on my book. I have loved reading Kim’s book “The King of Kings and I”. It was a great daily devotional. Each chapter had some important truth for me to carry through the day. I, too, have travelled and I love to hear Kim’s stories but even more I love the way she ties them into God’s word. The format helps with this – story – King of Kings lesson – personal application. Her theology is sound and accurate. The book has also served as a good reminder to learn the lessons that come from day to day life. Kim's devotional book is written from her own personal life experiences. She reflects on God's gracious hand in her early years and grounds with a Biblical foundation. Her open heart draws the reader to open their heart to the Lord Jesus as a response. Kim's honesty, simplicity and humility express the character of a woman of God. Easy read with fresh and insightful reflection. The French Collection page on this site. 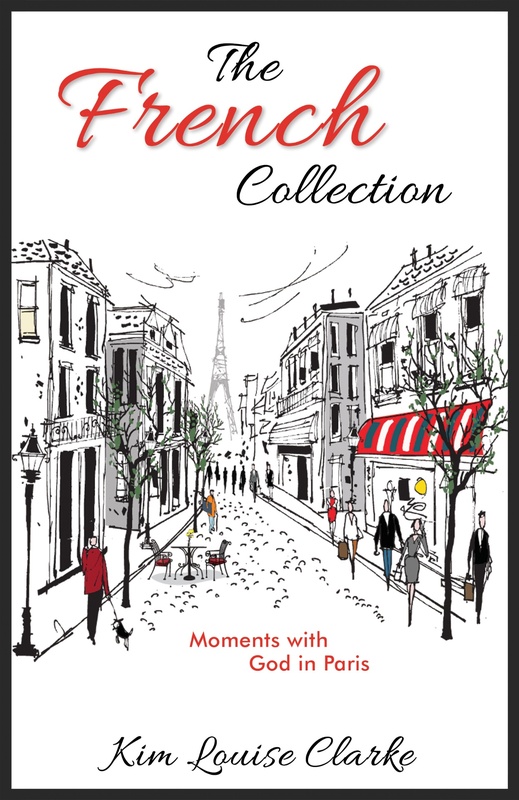 There you will find a book summary, book reviews, and slide show of Paris in Pictures.